Poodles are very high-energy and intelligent dogs that are very easy to train. It is important to provide your Poodle with proper exercise, training and socialization in order to make them less susceptible to become anxious. 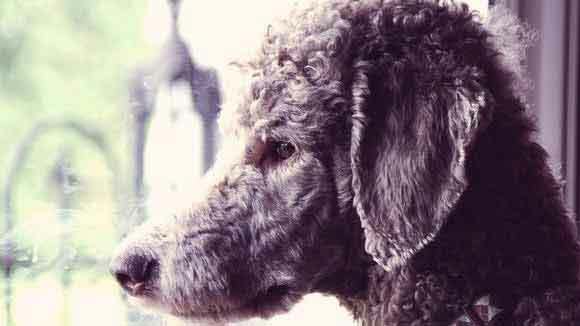 Poodles, whether standard, miniature or toy, according to veterinarian Bonnie Beaver in her book "Canine Behavior," are widely regarded as one of the most intelligent dog breeds. Although some highly-intelligent dogs can be stubborn and uncooperative, poodles are highly trainable. Unfortunately, poodles are also susceptible to anxiety, particularly without proper training, exercise and socialization. 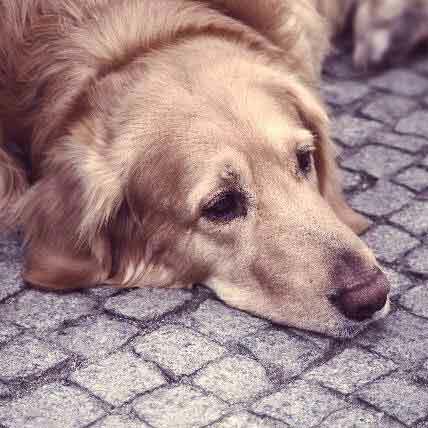 Dog behavior specialists such as veterinarians and dog trainers sometimes break anxiety into several categories to help determine the cause. 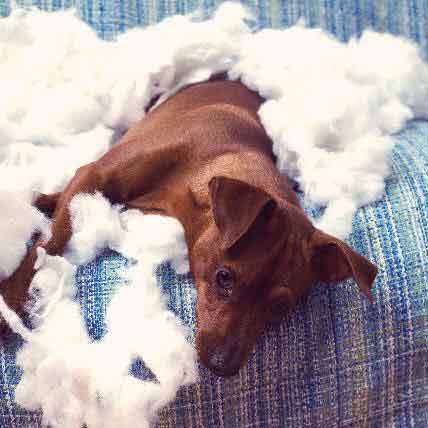 Separation anxiety is sparked by a separation from the dog's owner and frequently manifests in destructive behavior such as chewing and soiling when the owner is not present. Fear biting and aggression are generally caused by inadequate socialization. 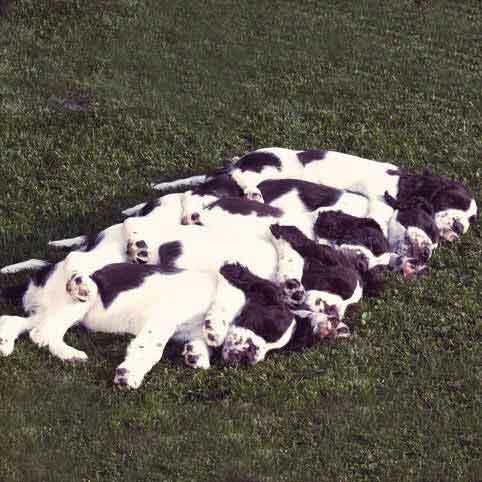 These dogs may cower when approached by a new person or dog and then bite if the person or dog does not back off. Some dogs develop generalized anxiety when they do not get adequate exercise, and other dogs are genetically predisposed toward anxiety. Poodles are not genetically anxious dogs, but individual poodles may be anxious and several environmental factors can increase this anxiety. Poodles are moderate and high-energy dogs, and require adequate daily exercise. For most poodles, running in a backyard a few minutes each day is insufficient. One or two brisk walks per day, high-energy games and training classes are much better outlets. When poodles get insufficient exercise, they may become anxious and destructive. Beaver recommends exercise as the first line of defense against a variety of behavior problems. She points out that many dogs experience an immediate improvement in anxiety with proper exercise. Intelligence is correlated with anxiety in dogs because intelligent dogs need lots of mental stimulation. Without daily training and attention, poodles may become restless and anxious. This anxiety frequently manifests in destructive actions such as soiling the carpet or chewing on furniture. Anxious poodles may also develop compulsive behaviors such as excessive chewing or licking. Spending a few minutes every day playing with and training your poodle can provide your poodle with a healthy outlet and reduce anxiety. Poodles are highly social dogs who bond strongly with their owners and who, when properly socialized, get along well with children and other animals. However, without proper socialization, poodles may become fearful and anxious. This fear can lead to aggression and fear biting, and poses a danger to owners and other animals. Toy and miniature poodles are especially susceptible to fear-based aggression. Their small size makes them particularly sensitive to rough handling and teasing by children. To prevent anxiety and aggression, poodles should be heavily socialized to novel stimuli, new people and a variety of environments beginning as puppies. Adult poodles with fear problems are more difficult to socialize, but a competent dog trainer can help you properly socialize your dog. 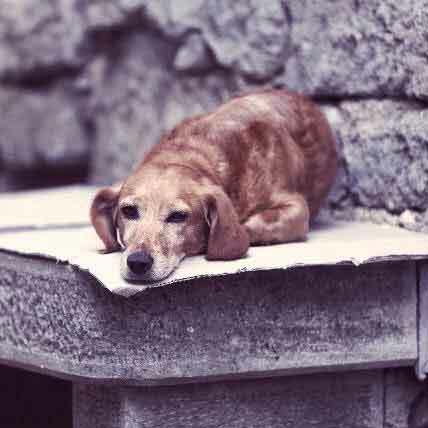 Dogs bred by irresponsible breeders are especially prone to anxiety. Beaver points out that temperament can be inherited, and anxious mothers frequently give birth to anxious puppies. Similarly, early experiences such as being separated from the mother too early can increase anxiety. When selecting a poodle, choose a breeder who has lots of experience with poodles and who knows about the importance of breeding for temperament. If you already have an anxious poodle, a competent dog trainer can help you work with your dog to overcome your dog's anxiety. Endocrine system problems -- especially thyroid issues and hormonal imbalances -- can make dogs anxious and even aggressive. Similarly, unaltered dogs are more prone to aggression because hormonal fluctuations can alter their personalities. 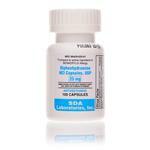 Occasionally, veterinarians prescribe anti-anxiety drugs, like Clomicalm, for dogs with severe anxiety. These drugs are often the same drugs prescribed to humans -- although in different doses-- for similar problems, such as clonazepam and diazepam. Holistic remedies such as Rescue Remedy -- anti-anxiety food drops -- may also be effective at alleviating anxiety. If your poodle suddenly develops anxiety, this may indicate a health problem, and you should consult your veterinarian before beginning a training regimen. Dog Behavior; Bonnie Beaver, D.V.M.